Who is Ellie Light? 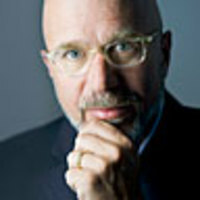 Michael Smerconish on finding the person behind the dozens of letters to the editor across the nation in support of the president—and what Light’s tale says about the state of modern journalism. Ellie Light was the Keyser Söze of American politics. Over a period of a few weeks, Light managed to place a letter to the editor professing support for President Obama in dozens of newspapers across the country. The letters were nearly identical, and in most cases, she identified herself as a resident of the community reached by the newspaper—an impossible feat given the geography of her letter trail. At various times she claimed to live in communities as disparate as Long Beach, California; Gainesville, Georgia; and Bangor, Maine. A Web site called Patterico’s Pontifications compiled a list of at least 68 outlets in which Light’s letter appeared. The publications span the media spectrum from national to local: The Washington Times and the Weirton Daily Times. Politico and the Park Record. USA Today and the Oshkosh Northwestern. I’ll never read letters to the editor with the same assumption of credibility. What James Frey did for the drug treatment process, Ellie Light has achieved for those who submit their penned thoughts for publication. Soon, theories were abounding in the blogosphere about the motivation and real identity of the writer. Like many, I learned of the story from the Cleveland Plain Dealer. The tale of Ellie Light piqued my curiosity, so I asked one of my radio producers to try to find the writer and book her on my radio program. That took some work. My producer noted that Ben Smith at Politico had reported that “Ellie Light” had written her missives from a Yahoo email account. My colleague searched the Internet for “Ellie Light Yahoo” and found that Ed Morrissey at Hot Air had received communications from Light. In posting the message header he received, Morrissey included the email address from which the messages originated. My staffer sent an email to that address, seeking to invite the person behind the emails onto the program. Soon thereafter, that person responded, accepted the invitation, and offered a phone number at which to reach her. A search of WhitePages.com found that the number was an unpublished landline number originating from Lakewood, California. When the person claiming to be Light called in the next day, however, she did so from a different phone number, though one with the same area code as the one provided the night before. That wasn’t all “Ellie Light” misrepresented. Just after my interview concluded, the Plain Dealer published a report online identifying Light as a traveling nurse named Barbara Brooks. But wait—later that day, another woman claiming to be Barbara Brooks called the newspaper to deny that she was Ellie Light. She asserted that a “male acquaintance” was actually the elusive letter writer. Eventually the Plain Dealer conducted conversations with two people claiming to be Barbara Brooks. Coinciding with this reportage was Internet speculation that I had interviewed a man, not a woman, and that neither I nor my audience knew the difference. Then yes another twist. Tuesday night, “Ellie Light” contacted my producer and acknowledged that “she” is actually Winston Steward, ex-husband of Barbara Brooks. And though Steward acknowledged withholding his real name when we spoke, he did say he stood by his admission about falsifying his primary residence. My head hadn’t spun so much since Luke married Laura on General Hospital in the 1980s. And I won’t be surprised if there is more to come. So what is to be learned? For starters, I’ll never read letters to the editor with the same assumption of credibility. What James Frey did for the drug treatment process, Ellie Light has achieved for those who submit their penned thoughts for publication. Second, the fact that so many papers across the country published the Ellie Light letter is evidence of the extent to which smaller budgets and diminished newsrooms have handicapped modern journalism. Where the news cycle used to be fueled by muckrakers and gumshoes, today those whose jobs require interpreting and offering opinions on the news of the day—frankly, people who do what I do for a living—saturate the industry. The result is a media effort drained of its ability to feed the beast with hard news stories. Don’t let the 24/7 news beast fool you; we’ve become a culture of repeaters relying on a diminishing cadre of real reporters for our news. Ellie Light is the second recent example I would cite as evidence of this new era. The first was the release of the hottest book in the country, Game Change, the 2008 election recap written by Mark Halperin and John Heilemann. For weeks, the book has been making national headlines—many of which were, initially at least, generated by Harry Reid’s comments about President Obama’s skin tone and dialect. But Game Change is much more than the Senate majority leader commenting on the president’s electability. It is more than 450 pages of new revelations about the most covered American campaign in history, prompting the question: How so much could have been missed by so many? When I recently shared that view with Halperin, he was quick to explain that gaining the cooperation of high-level players with so much at stake in the midst of a national campaign is essentially impossible. Instead, he said that speaking with them repeatedly, as he and Heilemann were able to do after the primary and general election dust had settled, was unheard of. Indeed, and the widespread publication of Ellie Light’s missives sheds light on a parallel problem with a modern media vortex overstuffed with bloviators and under-represented by bedrock investigative types. More people whisper less information down the lane. The old ways of verifying facts or confirming letter writers are proving to be increasingly ineffective as technology grows more complex. And now the news cycle is so contracted and fast-paced that understaffed and overworked newspaper staffs simply can’t keep up. Speaking of technology, Apple’s tablet computer is about to be unveiled and brings with it the prospect of boosting newspapers’ bottom lines by making it easier for them to charge for content. Maybe then they could hire more staffers to cover presidential races or track down the scribes behind letters to the editor.